Our little boy loves reading books, he will empty his entire toy box of books and happily go through every one, every night over and over again. 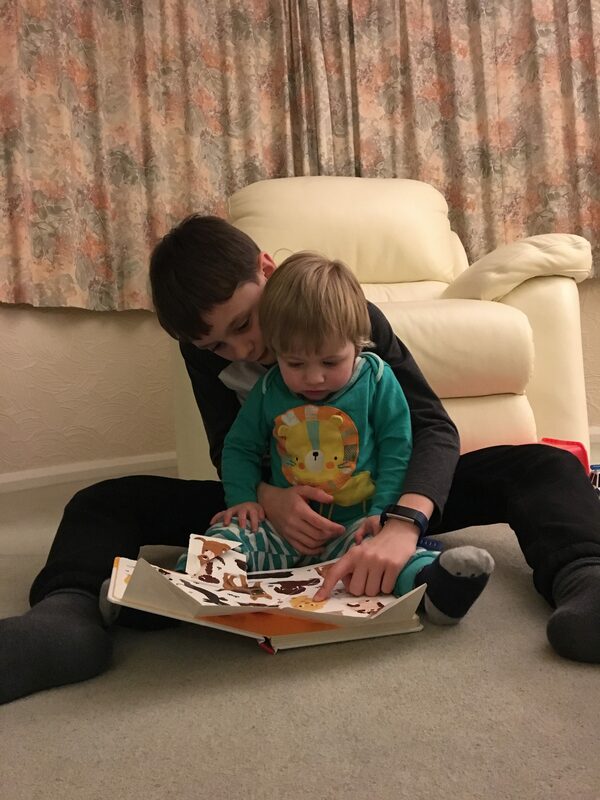 Here he is reading with his cousin Jack at my parents house. Awww such a cute picture – I love those ‘special moment shots’. Thanks for sharing and linking up with #mysundaysnapshot.